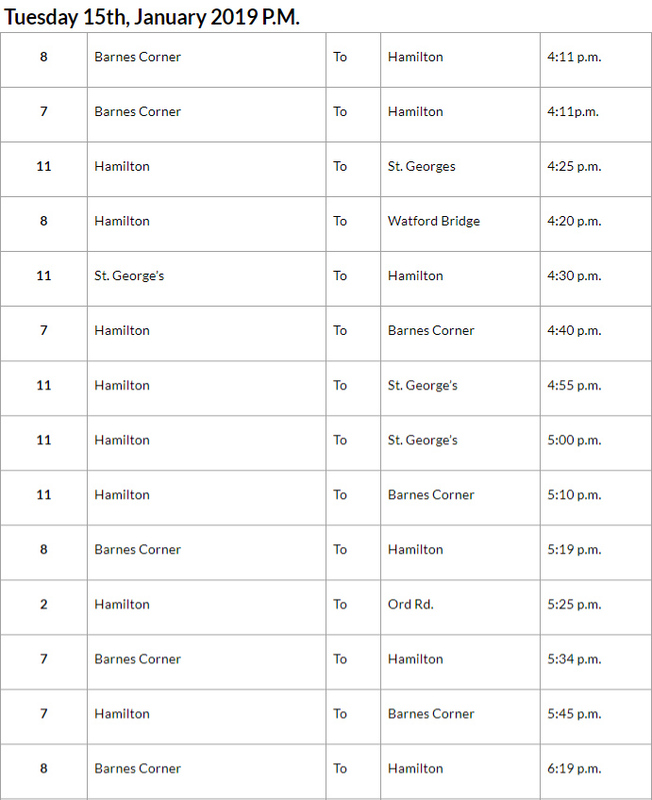 [Updated] The cancellation of bus runs continue, with the Ministry releasing a list of bus cancellations for this morning [Jan 15] with the list indicating that there are twelve bus runs cancelled so far today. 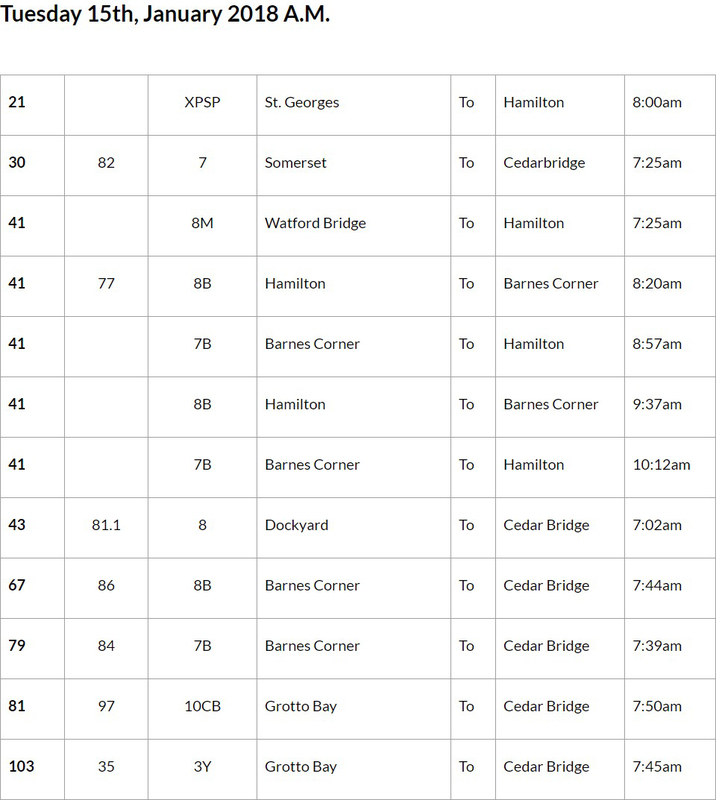 Update 4.18pm: The Ministry has released the list of bus cancellations for this afternoon. There were 12 runs cancelled this morning, 14 cancelled this afternoon, for a total of 26 cancelled today. It’s ok…stay home…take the day off…you will get paid regardless…relax. Pretty soon we will have self driving buses. Sad part is, if this was the OBA can you imagine the strikes,marches etc. Furbert, tweed and them bies..